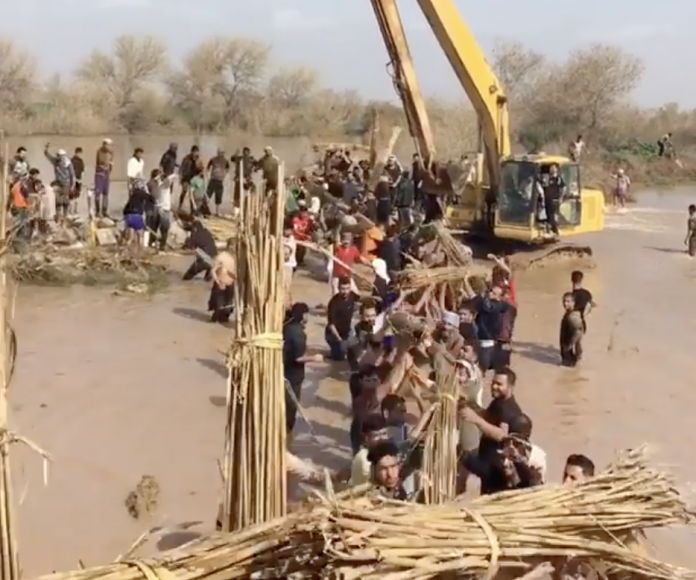 Iranian regime’s new techniques for forced migration Ahwazi Citizens with a man-made flood derived from opening one of many Dams in Ahwaz, Dez Dam. 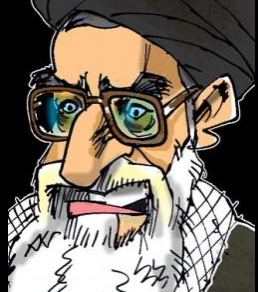 From killing Ahwazi Activists to publicly announcing that they hate Arabs (in different platforms) to Iranian regime’s deliberate attempt to Forced Migrate the Ahwazi citizens from Ahwaz to other region, has been a plan since this regime’s early days. So, this time Iranian regime decided to destroy Ahwaz and Ahwazi people with a man-made flood which destroyed thousands of farms and houses of Ahwazi citizens. The Iranian regime told the Indigenous Ahwazi Arab farmers to leave their home land to seek safety elsewhere. How is it possible to have flood in Ahwaz whilst have water shortage in Ahwaz? One of the largest water transfer projects in the Middle East, which is from the Dez river in Aligudarz, and according to experts, is the best water in the world. This project is used for providing water for drinking, agricultural and industrial purposes, that feed 10 towns and 30 villages, including (Qom, Saveh, Salafchegan, Golpayegan, Khomein, Mahallat, Nim Rud). This project is one of the major projects for the transfer of more than one billion cubic meters’ water for the supply of agricultural and industrial water in the provinces of Kerman, Isfahan and Yazd. Water transfers by this tunnel is mainly uses for Zayandehrud river in Isfahan. Worth noting that Farmers were fined by the government for farming in their own land. The video will become available shortly. The situation is so bad in Ahwaz that in 2018 Ahwaz’s dust level reached 120 times the safety limit set by the WHO (World Health Organization), all thanks to Government Mismanagement which led to Rivers and Wetlands Drying up from the above reasons. The Ahwazi Centre for Human Rights reiterates the need for the international community to hold Iranian government accountable for their actions. Previous articleArbitrary Arrest of Ahwazi Activists Continuous!